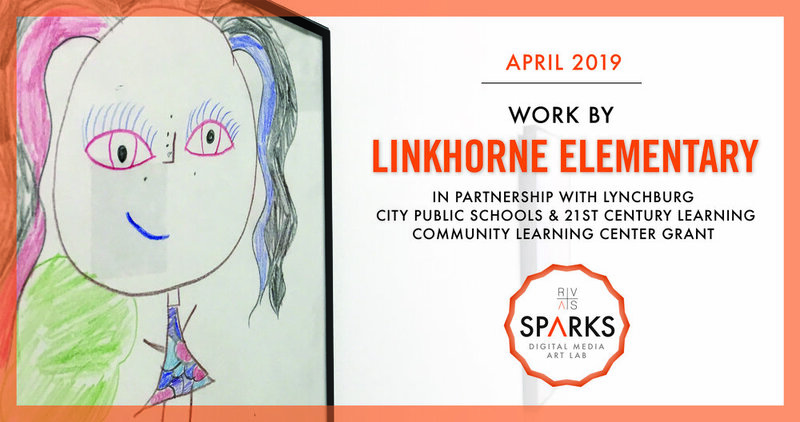 All artwork shown here was created by Linkhorne Elemenatry School students in partnership with Lynchburg City Schools and our SPARKS Digital Media Lab during the spring semester. Linkhorne Elementary School received a 21st Century Community Learning Center grant to provide academic enrichment opportunities to help students meet state and local student standards in core academic subjects, in addition to helping bring our community together. For the first semester , students met after school in both our SPARKS lab and a t Linkhorne Elementary to experience a variety of artistic mediums ranging from drawing, watercolor painting, comics, sculpting, animation, and digital art.